Confession: I had never tried using an eos lip balm before this one!! When they first came out and were all the rage I thought that they were just a fad product and couldn't be better then traditional lip products. My former favorite lip product was from the Neutrogena Naturals line, but I believe it has sadly been discountinued. I tried a bunch of things over the past couple years from ChapStick, Nivea and Blistex, and nothing compared to my favorite Neutrogena Naturals stick! Anyways, last month I saw that eos has released some new flavors of their popular lip balms, and I decided I would finally give it a try. I have been so impressed and I'm only sad it took me this long to try an eos lip product! They do work very well to moisterize lips, and the coconut scent on this is amazing (I love all things coconut). Please tell me that I'm not the only one who has a "Saturday mascara." What is a Saturday mascara you might ask? Well, during weekdays and Sundays (Sundays for me involve church and sorority chapter meetings so I'm always dressed up) I have a full on regular mascara routine which includes lash primer and combining two mascaras! But most Saturdays for me are relaxed, and I often go without make-up or wear very minimal. I like having a different mascara to wear on days when I have less make-up on that still allows my lashes to look great, but is a slight step down from my normal mascara routine. This mascara is perfect for that!! It packs in a great deal of volume in just a few coats, but does so in a natural and non-clumping way. It also has a separate brush for bottom lashes which is handy. Again- it doesn't quite provide the drama that I like for my usual lashes, but it's great for days when I want a more natural look! When I visited the UK over Christmas break last year. one of my favorite things to shop for while there was British make-up! There were so many different drugstore make-up brands that aren't sold in the US. Sleek is a British make-up brand that I got to check out at UK drugstore chain SuperDrug, and one great thing about the Sleek make-up line is that they sell many eye shadow palettes at drugstore prices! I bought the i-Divine palette in the Original color scheme, and had I known how much I would love this product I would have brought back many more of these in my suitcase! (I think Sleek makes about 20 different eyshadow palettes). The quality and pigmentation on these shadows for a drugstore make-up line is incredible, and the price can't be beat! 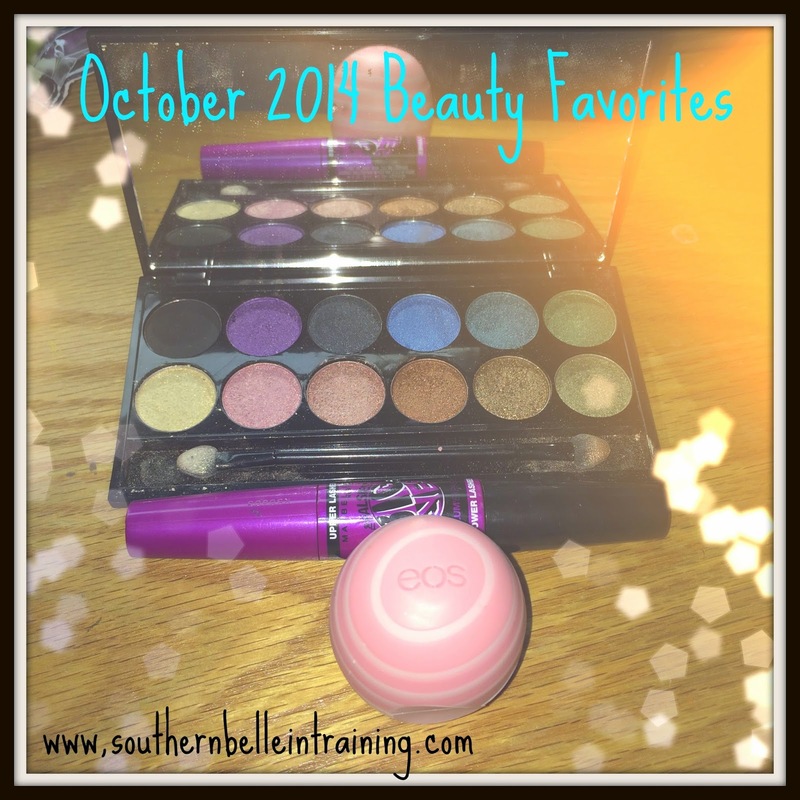 I enjoyed playing with this product last winter, but I feel like I rediscovered it in my make-up collection (and how much I love it) during the month of October. Now if only this brand was sold in US stores! You can order Sleek products online though and have them shipped on the US. Below I have linked a video from one of my favorite Youtube beauty vloggers, emilynoel83, who did a haul of Sleek beauty products earlier in the year! What make-up products have you been loving lately? Please share with me! Stay tuned for many new posts soon, including a giveaway that you won't want to miss tomorrow! Love that mascara! I use it every day. I totally get the "Saturday" mascara - except for me that's more of a "going to class, but want to look halfway presentable" mascara. If you like falsies definitely try maybelline's rocket power mascara, it's one of my favorites!